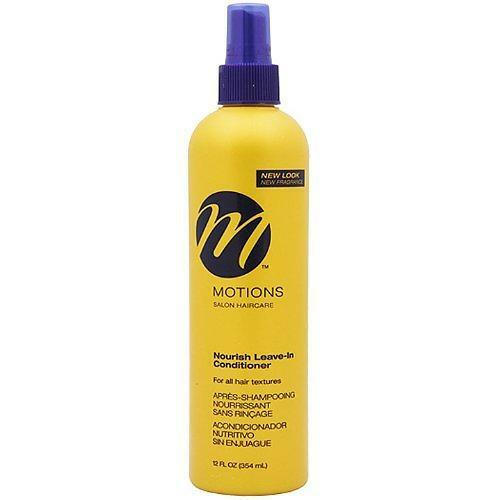 Motions Nourish Leave-In Conditioner is a gentle conditioners which softens hair as it fights frizz. Enriching blend of Vitamin E, silk proteins and keratin strengthen and protect hair. Silicones gently detangle while giving hair a vibrant sheen. Exciting Cha Cha scent adds a spicy note of fragrance. Formulated for all hair textures, this spray-on treatment gives your hair a quick moisture boost to keep it looking healthy and soft. Apply an ample amount of Motions Nourish Leave-In Conditioner throughout hair. Do not rinse. Style as usual. To balance the moisture on hair, apply as often as desired.